Steve’s breakdown: Being proud about being single is what it’s all about and all your clients should be “Doing” it! I could be like getting a whole new account on the side without cheating. EVERYWHERE, USA: From a promotional standpoint, 11.11, or Singles’ Day, China’s biggest consumer holiday, is like rolling the Super Bowl and two months’ worth of U.S. holiday shopping into one. 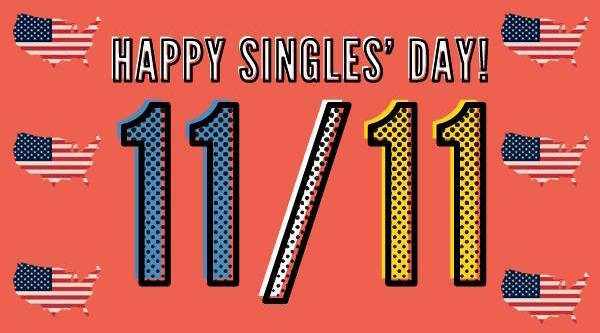 Like many things in China, the scale of Singles’ Day is mind-boggling. In 2017, Singles’ Day drove $25.3 billion in sales, equivalent to six Prime Days (the Amazon event drove $4.2 billion in sales in 2018). This year, the event’s 10th anniversary, more than 180,000 brands are expected to participate in the event, with 500,000 items involved in the sale. For non-Chinese brands like Mercedes Benz, Levi’s and Adidas, Singles’ Day is an enormous opportunity but one fraught with challenges when it comes to navigating ad options for reaching Chinese consumers on 11.11. Singles’ Day started as an Alibaba phenomenon, but it has spread beyond Tmall and Taobao. For marketers looking to reach Chinese shoppers, that means navigating China’s complex media buying industry. There’s little programmatic ad buying, so everything is done manually and must comply with China’s fast-changing government-issued regulations. Customer journeys typically don’t start with search queries, but they do happen on their mobile phones, meaning brands have to proactively spend money all over China’s digital playground: On WeChat, the social media ecosystem where brands can build home sites as well as run ads against other functions; Alipay, the payment platform; TuNiu, an online travel booking platform; and Youku, a video streaming platform, to name a few. Paying for app home-screen takeovers, banner ads and native content in these apps is all part of the effort to drive customers into Alibaba’s ecosystem, landing on the brand’s Tmall or Taobao stores within the site. It doesn’t end there: In-app marketing is all coordinated by Alimama, Alibaba’s marketing service, or a Tmall or Taobao partner agency or vendor, which helps international brands take better advantage of all of the platforms’ nuances. The stakes are high. Similar to how retailers in the U.S. pin their annual revenue goals to strong fourth-quarter performances, counting on big holiday shopping spend, international brands courting Chinese consumers have to show up big on 11.11. In addition to the investments for digital media space outside of Alibaba’s network, there are banner, search and native ads to be bought within the Alibaba umbrella (similar to ad spend on Amazon). Some media opportunities don’t have much of a U.S. equivalent: During the 11.11 live entertainment gala, 24 hours of TV programming features brand presentations on stage, where a brand like Rimowa might show off new luggage styles, or Haagen-Dazs will run a promotion during an ad. Brands spend money starting at the bottom of the ladder — having a logo premiere somewhere during the event — all the way up to top, which is a title sponsorship. For Chinese shoppers, Singles’ Day promotions start appearing about 30 days before the event. Seven days before becomes prime time: Shoppers can begin adding things to their Tmall and Taobao carts, with the transactions going through on Nov. 11 itself. But planning starts about six months in advance, when brands start “locking up” valuable real estate, like an app takeover or banner ad, said Bi. It’s competitive and for good reason. Brands have seen up to two months of typical sales in China over the course of 24 hours on Singles’ Day in the past. To capture enough customer attention, brands set out sales targets that they want to hit for Singles’ Day, and then work with outside agencies to figure out how much they need to spend on ad buys to hit that goal. “Ad spend is indexed for 11.11, so our role becomes more important — we have to capture the consumers’ attention, and drive that value proposition home, and then send them to the right place to actually buy,” said Bi. Bi said that the type of ad creative that works for brands on Singles’ Day varies by category. Fashion and beauty brands that have a lot of brand awareness already, like Dior and Estée Lauder, don’t waste time on brand marketing, instead push retargeting and conversion messaging across all platforms. Those brands that have big resources can also overbuy ad inventory to make sure that no competitors buy conflicting ads next to theirs — like a Chanel native ad appearing next to a Dior banner ad — which drives up ad inventor prices for the holiday, according to Bi. Meanwhile, brands newer to Singles’ Day promotions will rely on expensive influencer video ads — which are priced based on where they fall during the live stream — to grab attention. For Singles’ Day, Alibaba lets brands access its Brand DataBank, in which they can create ad targeting models and find the demographics within the Alibaba consumer ecosystem most likely to respond to campaigns. According to Natan Reddy, analyst at CB Insights, Singles’ Day action can help set up brands that spend and maneuver wisely for the rest of the year, particularly in burgeoning industries like travel and automotive.